Everything is better with a taco, especially the young but formidable Oak Cliff Film Festival, which calls the Texas Theatre home. Within tortilla-flinging distance (and all over the neighborhood) of the historic movie house are scads of notable taquerias and restaurants. Once again, we offer our recommendations. This mom-and-pop shop is something special. It’s the only Dallas restaurant specializing in Sinaloan-style meat preparations, and where you go when you want excellent tacos. 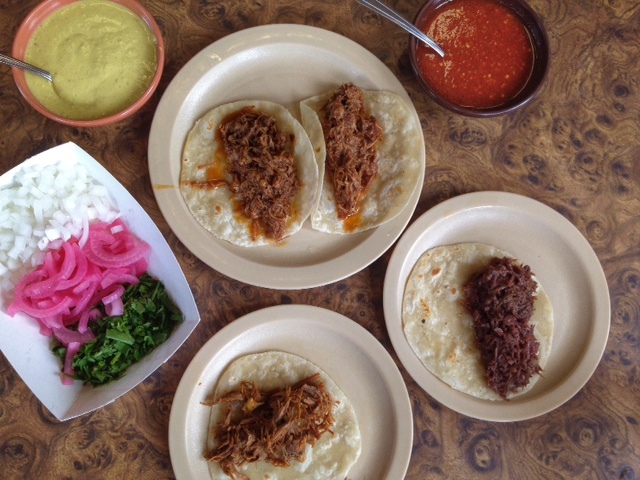 The Torres family has never failed when it comes to serving northern Mexican dishes like cinnamon-spiked birria de chivo, luscious cabeza (a mix of beef cheek and tongue) and barbacoa roja estilo Sinaloa, which has pork and beef in every exquisite bite. True to the state of origin, order your tacos in handmade flour tortillas. But if you insist, at least request the handmade corn tortillas. On a strip of Clarendon dominated by auto shops and faded concrete, cheekily named La Tacoqueta is a sepia, wood and tile haven offering hit-the-spot tacos of carne asada, chicken and al pastor.Alas, there is no spit. The breakfast tacos come with handmade tortillas but others don’t. The service is always on point and the salsa is always fiery. Fito’s Tacos de Trompo #2, 3113 W. Davis St. This joint is hard to miss. Just look for the painting of Monterrey’s geographic landmark, the Serro de la Silla mountain, and the restaurant’s name is big red letters. 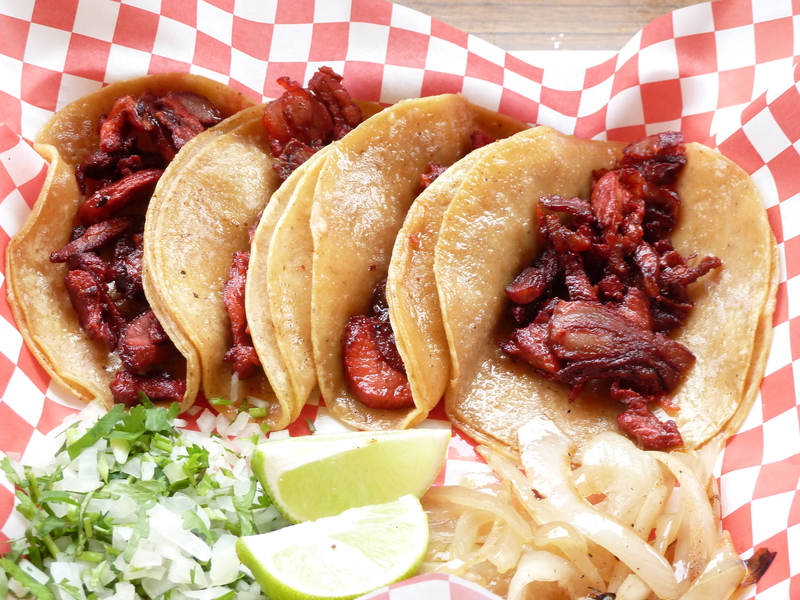 Order the signature menu item, tacos de trompo—the northern Mexican cousin of tacos al pastor seasoned with paprika, not a chile, achiote and citrus adobo, and roasted on the vertical spit called, you guessed it, a trompo. But bring cash. Fito’s doesn’t accept plastic. This small, cash-only joint serves fierce pollo deshebrada, chicken stewed and shredded. Tiquicheo’s version is prepared with tomatoes and chilies and nestled in house-made tortillas. Temper the heat with a Mexican Coke. At the base of Jefferson Tower, diners will find the crispy tacos the only way crispy tacos should be done: fried to order. The delicate, light, not-greasy treats are a wonder of Dallas. This small Dallas chain’s original location sits at the corner of Westmoreland and Illinois, serving classic Mexico City tacos al pastor from a trompo, mischievously sloppy choriqueso that marries cheese and chorizo on a bed of three flour tortillas as well as a full menu of Mexican fare. You’ll probably find yourself at Tradewinds Social Club after a long night of screenings. And when you do, soak up the cheap, friendly booze with mammoth tacos campechanas and the bantam piratas, both specialties of Monterrey, Mexico—and both with cheese in flour tortillas. Order a couple knockout tacos de trompo or go for the hamburguesa estilo Monterrey, the trompoburger. The squat brown building has served locals for more than two decades has a tiny L-shaped dining room and solid offerings, a short walk from the Texas. It’s also a festival sponsor. This converted gas station and car wash makes their corn tortillas in house and serves the best breakfast tacos south of the Trinity. The mouth-puckering barbacoa on a diminutive flour tortilla alone is the ideal first stop on your daily film festival itinerary. The chorizo and egg taco packs a delightful soft slap of heat. Around the corner from the Bishop Arts Theater is where I’ve had my favorite chorizo to date. It’s a a throat-coating spicy and nutty antojito far from the desiccated pebbles wrapped in cracked (yet greasy) yellow corn tortillas so often accepted as the standard. The barbacoa here is velvety and punctuated with fat. But they do not come in advertised handmade tortillas. The only way to get those is to order a platter. If you’re lucky, the owners will set up a trompo on the sidewalk outside the restaurant.